The greatest thing is, most of it is FREE. You are welcome to download, listen to, and watch all of the material on this site free of charge. Please be blessed by whatever you find here and we hope you grow closer to God through it. Listen, download, read, watch, post or paste, the choice is yours. 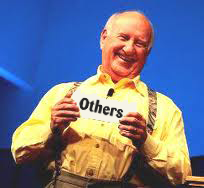 The ministry of Gayle Erwin and consequently, Servant Quarters. All of Gayle's FREE resources are available for purchase as well. - If you have trouble understanding God, this book is for you. 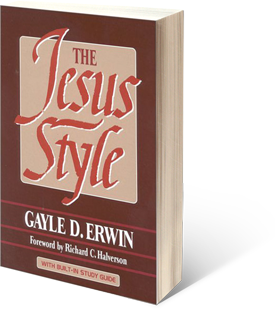 This message is right in line with Gayle's book, The Jesus Style. You don't want to miss this 4 part message series. Gayle has graciously provided this message and all of his audio resources FREE of charge for you to listen to or download to your MP3 Player. The Nature of God, which includes teachings on "The Nature of Jesus", "The Nature of the Father", and "The Nature of the Holy Spirit". 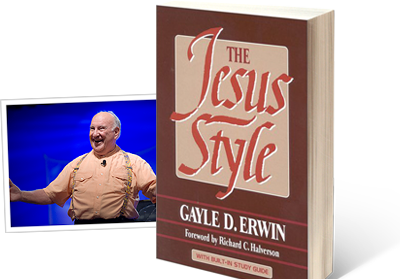 Teachings by Gayle Erwin, all of which complement The Nature of God series. The Gospels, 16 hours of teaching on the gospels. 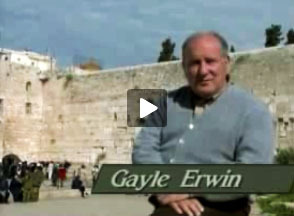 Israel Tour, which consists of 4 hours of Gayle teaching at various locations in Israel.